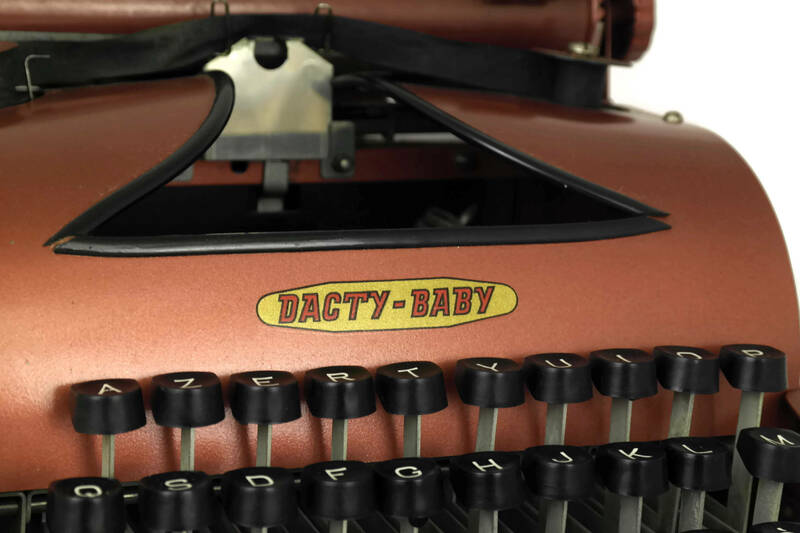 A charming vintage Dacty baby toy typewriter. 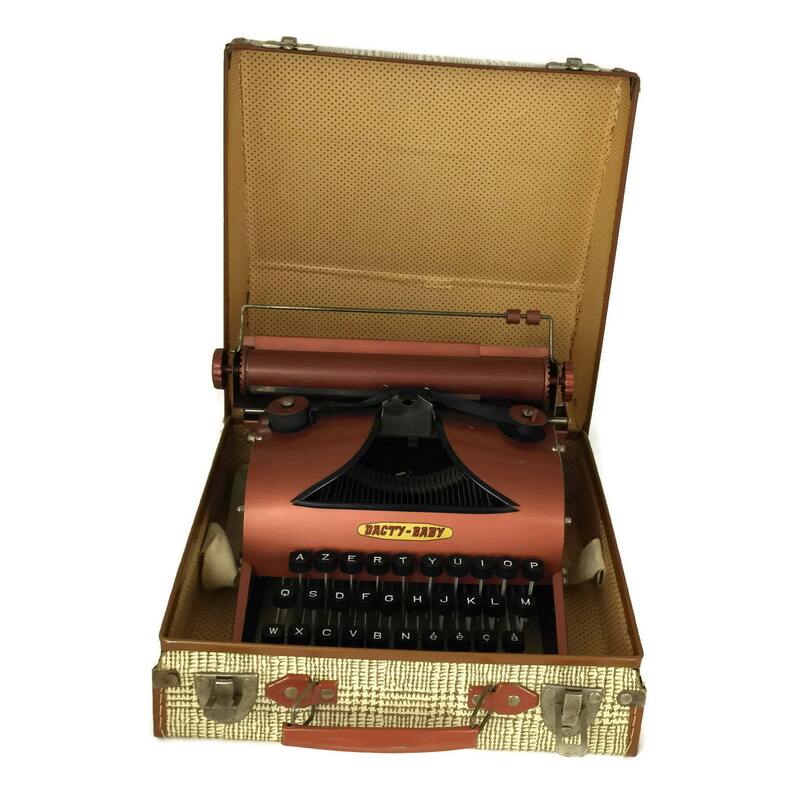 The French childrens typewriter dates to the 1950s and comes presented in its original carrying case. 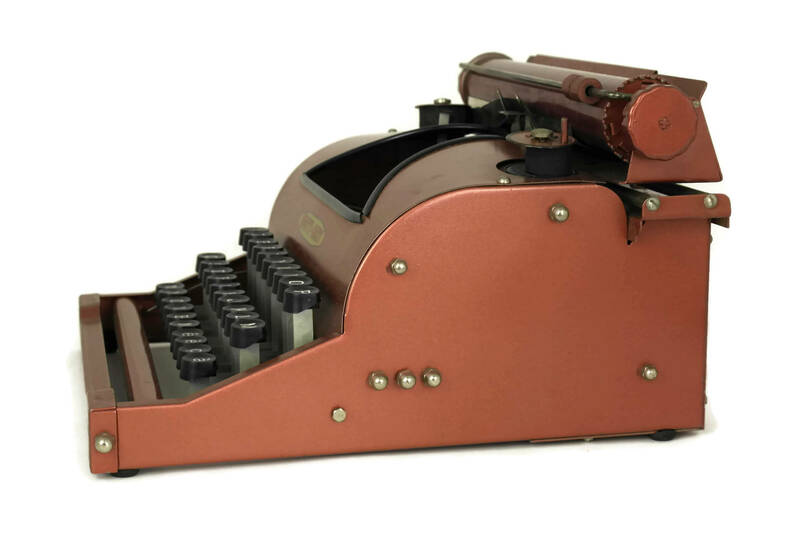 It has been made from metal and decorated in a shade of salmon pink. 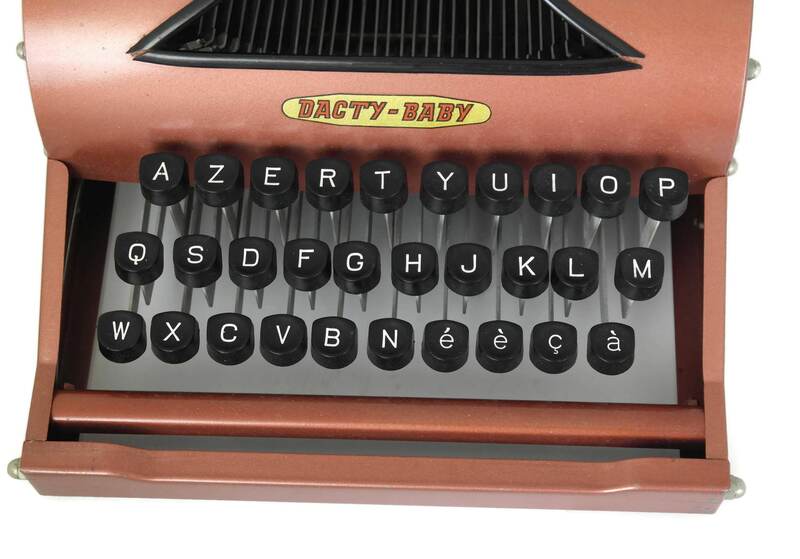 The typewriter has a fully functioning keyboard arranged in the "AZERTY" format as used in France. 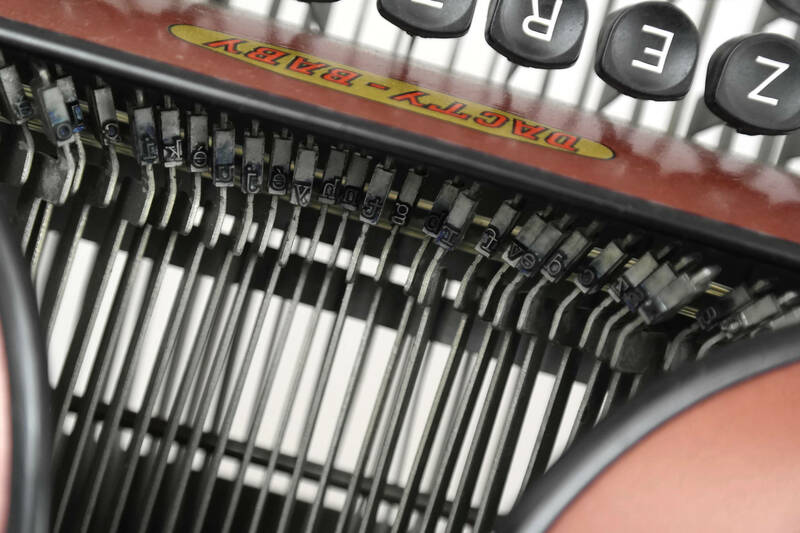 There are no punctuation or number keys and all letters are in lower case. 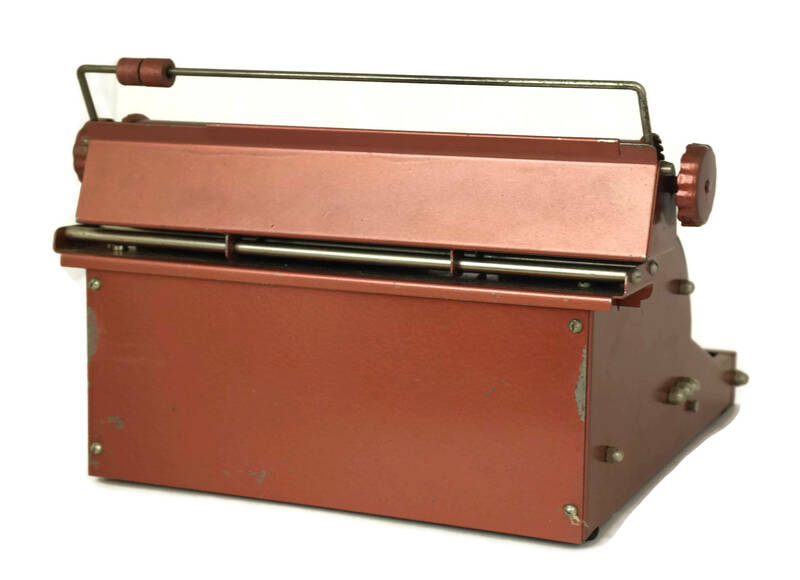 It still has its original double spool ink ribbon and printed instruction manual page. 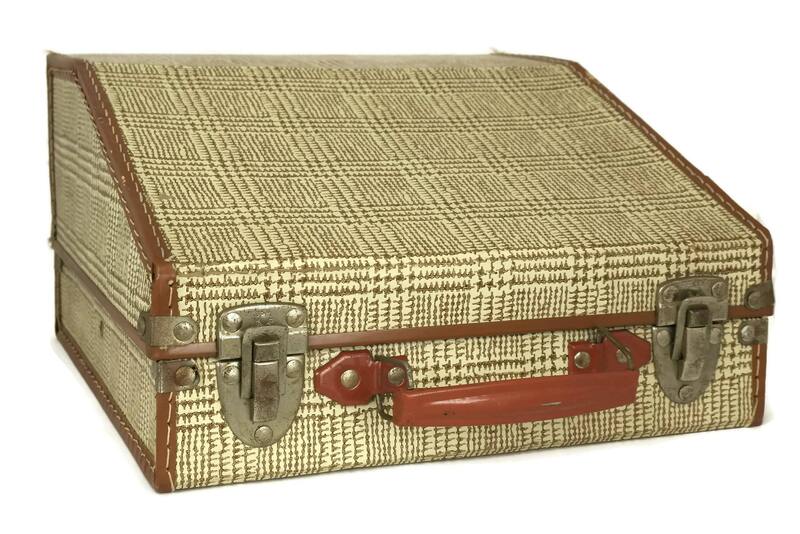 (28 cm x 20 cm x 15 cm). 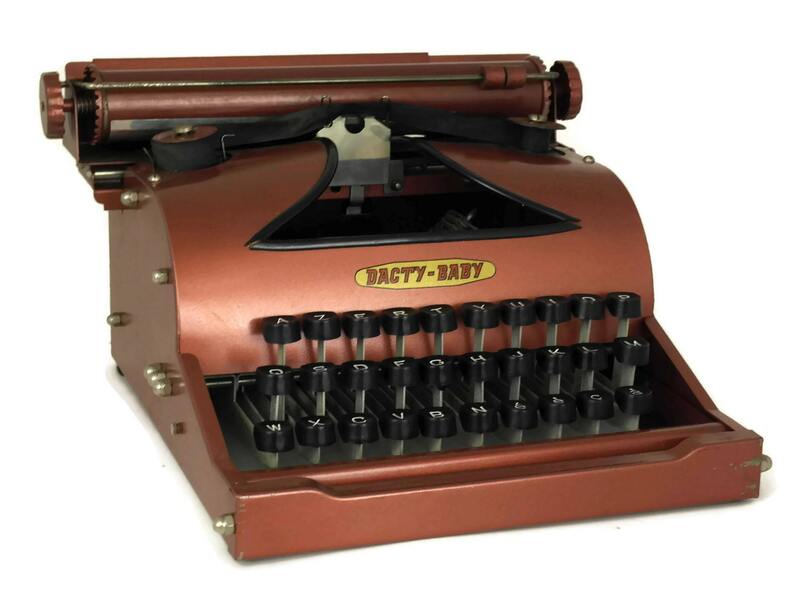 The vintage toy typewriter is in very good condition with signs of age including surface marks and scratches. 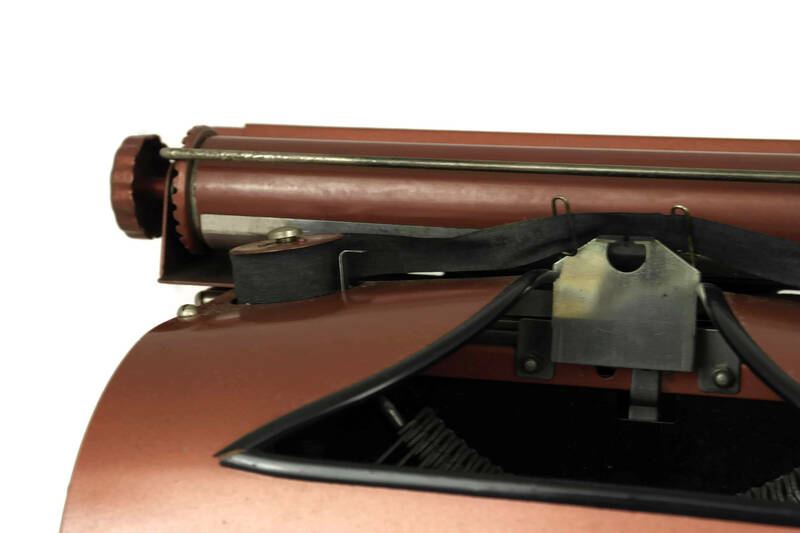 The ribbon needs to be replaced or re-inked. 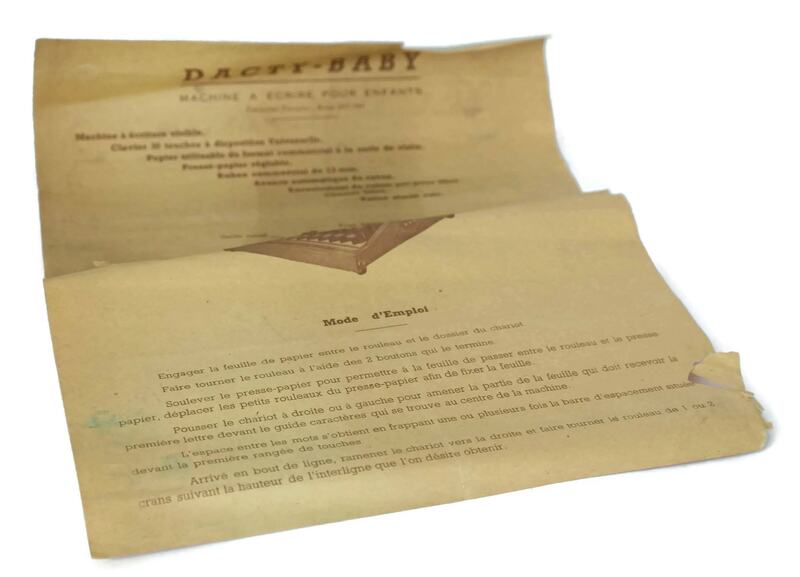 The instruction sheet is torn and worn in places.